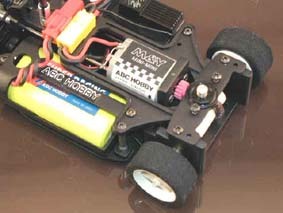 "Abosolutely the best 1/24 scale and under car money can buy" staff at Micro R/c Racing." Lots of future plans and upgrades!! More details and pictures Here. ABC breaks new ground with their first 1/24 4WD R/C racer—the Pocket Racer DTM-X4. Its size is perfect for indoor competition on smooth surfaces such as low-pile carpeting, smooth kitchen floors, on a pool table, or down in the basement. Its shaft-driven 4WD gives it exceptional handling and acceleration on any surface. Its front and rear differentials are completely tunable, allowing racers to adjust them for different surface conditions. And the versatility doesn’t stop there. The DTM-X4 features an adjustable wheelbase that allows it to be used with a variety of body types. The DTM-X4 requires micro-sized electronics, and ABC offers the optional DTM CRP unit to simplify electronic equipment selection. The DTM CRP integrates a micro digital servo, 4-channel 27MHz FM receiver with optional LED brake light, and forward/brake and reverse electronic speed control in one convenient package. 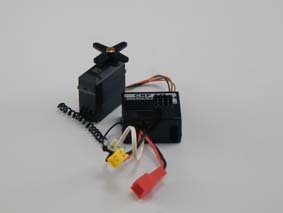 This integrated system is great for other micro sized cars (1/18–1/30 scale) using 7.2V batteries and 130SH or 180SH motors as well. 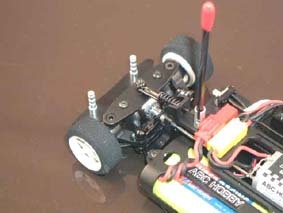 The best Fm multi unit for Hpi Micro Rs4 too! Kit requires: Radio, electronics, 7.2V 110mA battery or 300mA battery, and a charger. 110mm and 115 Abc Hobby body compatible. Absolutely the fastest 1/24 and under car out on the market today. 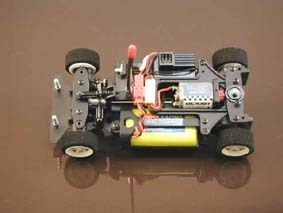 It is much faster than mini- z , mini-x 4wd cars, or Dynamite Rocket Racer. The Very best sub 1/18 scale car money can buy. Crp unit highly recommended due to size constraints of Dtm X-4 because of center drive shaft configuration. Can also use Xpress mini x electronics. Super small and light weight. * Can not use stock battery box -slightly larger than stock 110 pack but definitely worth it due to extended run times especially with 180 size motors.